Word, Excel and PowerPoint all have different sets of keyboard shortcuts you can use to create the strikethrough text effect. 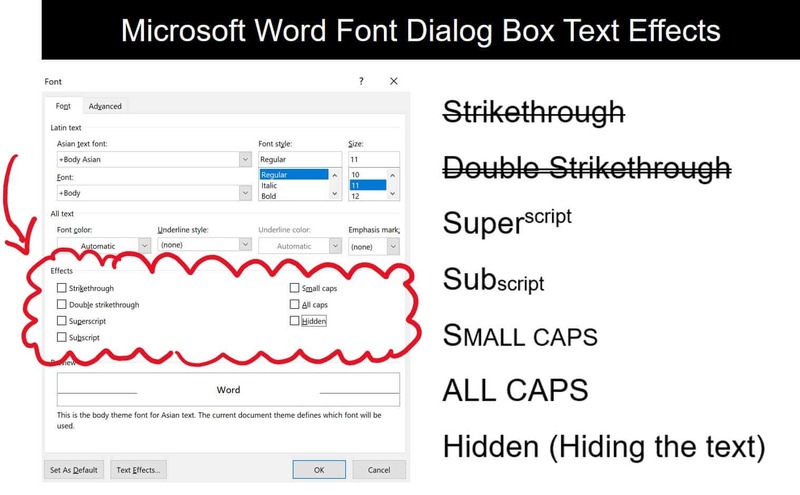 If you are NOT interested in shortcuts but still want to create the strikethrough text effect, see: How To Strikethrough Text (Word, Excel and PowerPoint). There are two different shortcuts you can use to put a line through your text in Microsoft Word (like this). 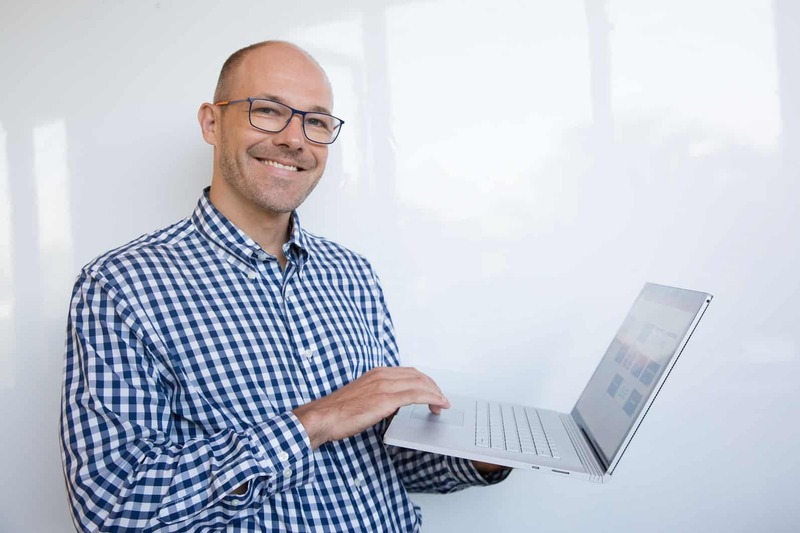 Which one is better depends on what you are doing and how many formatting options you want to put at your fingertips (like the double strikethrough effect). Note: To make the Alt, H, 4 shortcut work, you do not need to hold the keys down. Instead, simply hit and let go of the Alt key, hit and let go of the H key, then hit and let go of the 4 key. To remove a strikethrough in Word, simply select the text and either use the strikethrough shortcut again to remove it, or hit Ctrl + Spacebar to remove all formatting (reverting the formatting back to whatever is set on your template). Although you can use the Font Dialog to add subscripts and superscripts in Microsoft Word and PowerPoint, you can also just the dedicate shortcuts keys. For additional help with these shortcuts, see the short YouTube video above. Just like in Word, there are there are two different shortcuts you can use to put a line through your text in Microsoft PowerPoint (like this). Which one is better? That depends on what you are trying to accomplish and/or how many formatting options you want at your fingertips (with the Font Dialog Box shortcut giving you more options). If you use the Font Dialog box shortcut in PowerPoint (Ctrl + T), you also open up a number a number of other formatting options that you can additionally shortcut inside the dialog box by holding the Alt key and hitting the effects underlined letter (as pictured below). To remove a strikethrough in PowerPoint, simply select the text (or object) with the strikethrough effect and either use the strikethrough shortcut again, or hit Ctrl + Spacebar on you keyboard to clear all of the text’s formatting (reverting it back to the formatting set for your template). 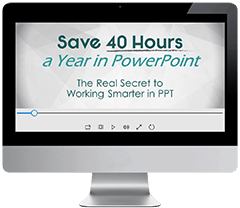 To learn how to setup and create your own PowerPoint template from scratch (including video tutorials) see how to create a PowerPoint template. 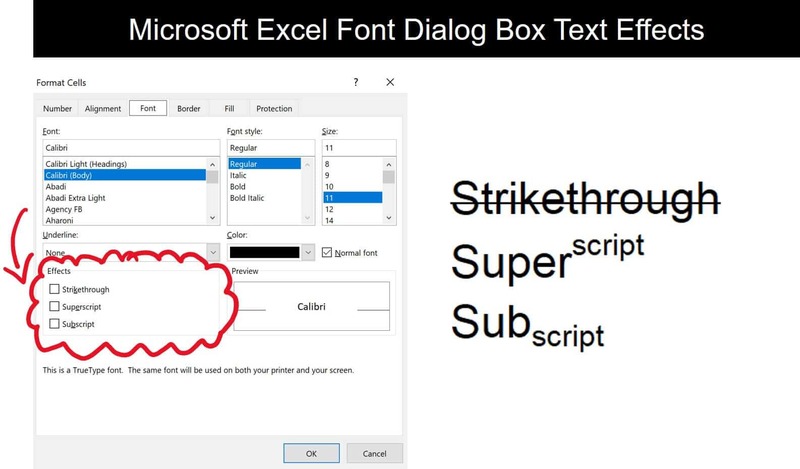 There are three keyboard shortcuts you can use to get at the Font Dialog box in Excel to create the strikethrough text effect. Also, a quick note on the Font Dialog box in Excel to remember is that the dialog box always opens exactly as you left it the last time you used it (see the tabs of the dialog box below). That means that if you last used the Font tab when you closed out of the dialog box, the next time you open the dialog box, it will start with the Font tab selected. Inside the Font tab you will also find a few other text effects that you can apply using your keyboard shortcuts, by holding the Alt key and hitting the underlined letter (as pictured below).